Enabling maximum light control, our Venetian blinds can be tilted 180 degrees. They are supplied in both metal and wood. Metal is available in gloss, matte, embossed in silver or metallic, or in an aluminium wood – which is a wood photo effect onto metal. Our lightweight yet ultra-stable Wooden Venetians offer a robust blind solution due to their layered wood structure. This helps to prevent bowing and is ideal for withstanding different temperatures. The slats are available in 4 sizes, depending on the amount of shade you require or the size of the window. Matching or contrasting ladder cords and strings and coordinating head and end caps complete the look of the blinds. Venetians can be operated from the left or right, depending on your specific requirements. They can be face-fitted on the outside of the interior window frame or within the reveal. They are also available in Intu or Perfect Fit, where they can be tensioned within the frame as opposed to free hanging. Thank you all very much for my new blinds. They really look nice. Just wanted to say that the blinds fitted at Lee Filters today look great and were fitted really nicely. Z-Lites in our main bedroom. So light and clean. No fuss. Easy to use. Thanks André. Great service - efficient and friendly. The fitter was efficient and professional and did a great job. The result has really opened up the end of our living room. The fitter has just been and wanted to say they did an amazing job and cleaned up very well after. Thank you! Had my wooden blinds fitted last year- very good service, excellent choice of colours & widths. Professional & speedy fitting. Thoroughly recommend! Had our whole house fitted with blinds by André. Very good service and excellent support afterwards. Would recommend. I am so very pleased with my shutters supplied by André's Blinds and Signs and am very impressed with the wonderful, professional and personalised service that they all provide. We paid a competitive price and fully recommend André's Blinds for your home; for service, quality and price. The blinds look really good and make my room feel bigger in winter. Fabulous, quick easy professional service from all at Andres Blinds! I’m super pleased and would recommend their service. 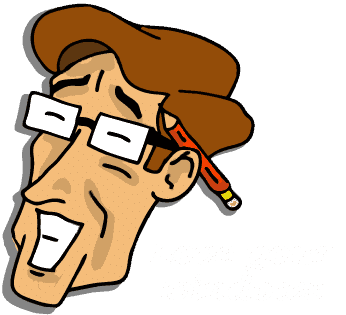 I received quality service, the blinds are beautiful and work well, I had a lot of choices and the company were very patient with me. When I was busy, they were able to work with me online. I have Velux windows which can be difficult but Andre was professional quick and the blinds will last a long time. I am very happy. Just a short note to congratulate all at André's Blinds and Signs for the fantastic service we received from you and André when we ordered the 'INTU' blinds for our utility room. Everything went exactly as we were told it would, appointments met as planned, kept fully updated on progress, fitting done on the day and time planned and the blinds are absolutely brilliant. We just could not be happier. Altogether a great customer experience and we will have no hesitation in recommending you and the product to all our friends. Well done to all and thank you so much. Very friendly staff and blinds are of excellent quality. We recently had shutters fitted on our hall windows: quick and efficient fitting, clean and tidy workmanship, and best of all they look fantastic. Thank you André. Your service is great. Very good and affable fitter and whole company is very professional. Thank you very much - love the curtains and poles! I have recently had blinds and shutters fitted by André’s Blinds and Signs and I’m very pleased with them, they do give the windows a smarter look. Their fitter Mike did an excellent job, he’s very conscientious with his work and kept everything clean and tidy as he went about his tasks. I would have no problem recommending André’s for anyone looking to get blinds and shutters. Love our new blinds and very happy with the service. Only a slight hiccup but was swiftly resolved. I would recommend the service. Expert advice, 12-month guarantee, free measuring and fitting available on all our products.